Why are there so many song lyrics that talk about being alone from a negative perspective? “All by myself, don’t wanna be, all by myself anymore” by Céline Dion. Sounds familiar? Or what about other musicians songs about “I’m tired of being alone,” or “the fear of being alone?” My suggestion is to keep your single self happy and motivated by listening to these celebratory and inspirational single anthems provided by Live About found here. These are the Top 16 Songs About Being Single. The message is simple and strong (and I’ll try to fit in as many of the song titles as I can): Single persons should roar out loud their fight song of solidarity. It’s your life to live so love yourself, be your own hero as you’re ridin’ solo this Valentine’s day. Listen to the voice within as it says, that’s my girl (or guy)! If you encounter any negativity for being single, just shake it off. These trials will only make you stronger and after everything, you will be able to say, “I will survive!” Even if it’s by yourself, I hope you dance on February 14th and remember, girls just want to have fun (or guys) whether they are single or a part of a couple. Whew, how did I do? Was it that bad?? Well hopefully you at least get the point. You may be wary of doing things by yourself, especially if you’re used to going places with your significant other. This is why self-awareness is important. Once you realize that you are responsible for your own happiness, the pressure of needing to be with someone during Valentine’s day or any holiday will decrease until it’s non-existent. Develop yourself and you will notice your confidence increasing. As the below short video called “Why Only the Happily Single Find True Love” by The School of Life shows, only after you do this, can you find the right person for you based on YOUR own merit. I have also come across the Young Living Essential Oils blends. This is an excellent step to pampering yourself. Why not try the Tranquil Essential Oil Roll-On? It is a treatment blend of lavender, cedarwood and Roman chamomile essential oils developed to calm and relax the body and mind. They also offer other natural products to make you feel happy, peaceful and healthy, not just for one holiday, but for your lifetime. Need more good news? It’s just one day. I know it will feel like an eternity but the 14th will come and go and everyone will move on, including you. At the time, you may feel lonely, desperate or even cynical. Try to avoid feeling this way and strive to feel genuinely happy for other couples. You may be feeling resentment towards a couple that may have been in the same situation you are in now. You do not want to begrudge them their happiness as you would want the same support when you do find the right person for you. Distractions are usually negative but not in this case. Look for positive diversions to keep your mind off of being lonely during this holiday. Even if you do not have someone “special” to spend that day with, you can reconnect with your family or close friends. Go out to a nice restaurant with them. Dress up, get out of the house and enjoy yourself. Buy chocolates and eat them with your other single friends. It may feel as if you are the only person in the world without a date but I can assure you that’s not the reality. However, if you do happen to have more married or dating friends, why not make new friends? The concept of meeting new people may scare you and I’m not necessarily advocating reaching out to complete strangers. Be safe about it. Why not look around at your place of work for someone you can hang out with? Talk to different people you regularly come into contact with and strike up a conversation. A word of caution, if you do make plans to go out with them, go somewhere public and be careful. More importantly, be open with your expectations of your new friendships and relationships and enjoy yourself. If you are recently single or you are not interested in a relationship right now, view this phase in your life as a positive chapter in your development. As you are getting to know new people better, take this time to get to know yourself better as well. At this point in your life, you have a huge advantage over couples: freedom. You have the time to be selfish, as in focus on yourself. Sit down, use one of the calming oils mentioned in this article or aromatherapy methods discussed in one of my previous articles, and conduct a genuine self-examination. Meditate on what YOU need, YOU desire and YOUR goals. When you are open with yourself, it will make it easier to be honest with others. You will also learn that your happiness does not depend on anyone else, just you. When your outlook on yourself changes, others will recognize this newly found confidence and their outlook towards you will change. This can open you up to the successful relationship you have been looking for. Make your journey of being single a sweet one, and no, you don’t need a box of chocolates sent by someone else to accomplish that. Live your life, not for a holiday, but everyday, whether you are a part of a couple or not. Don’t feel pressured to be what anyone expects you to be, after all, they have their own journey to follow. Do something new and exciting on the 14th. Or stay home with a good book or movie and a glass of wine. Whatever pleases you. If your plans do not work out, try something else the next day. If you still feel jealous or lonely, don’t linger on that feeling. Admit to yourself that you do and move on. Trust me, after the 14th, everyone else will be moving on. That day of love is not just for couples. Love yourself as well! Do you agree with these tips? Do you have any you want to share? Do so in the comments below! You are more than welcome. I think people focus so much on the day itself rather that the spirit behind these occasions: the opportunity to show love. It does not have to be a significant other. People can use this and any occasion to focus on themselves, their family and close friends. Or even persons you encounter throughout the course of your day such as coworkers or neighbors. The best way to distract ourselves from the sadness we may feel is to help others. When they are happy, it makes us feel happy! I hope you continue to benefit from the other articles here! Being a natural loner, I’ve never really felt like I absolutely “needed” to be with someone, more so that if it happens it happens. I think the key to being happy being single is just being happy with yourself first because here’s the thing. If you aren’t happy with yourself and suddenly you get into a relationship that makes you happy, if it ends you’ll likely feel worse off than you started. So the key to being content is in both instances is just being content with yourself and I think the examples you provided are a perfect representation of that in terms of how. That is so true Jasmere. That is one of the secrets to happiness: be happy with yourself first! As you stated, once we depend on others to be happy, it becomes a monumental task to move on with your life if things do not work out. We should all try to be comfortable being by ourselves and that way we can add value to any future relationship we end up with, even if that person is just a friend. Thanks for the words of encouragement. I recently broke up with my long time girlfriend. Its been rough, Im focusing on loving myself first and taking care of my body and being healthy. I find that helps alot. Im glad i found your article it really helped me. Keep up the good work. Hi Evan, thank you for sharing your experience. I’m glad that you were able to benefit from the tips discussed here. It is always a good idea to take care of yourself. Once you start to improve, people notice and are drawn to the positive changes you are making in your life. I appreciate your take on this. I am not single but I agree with how to deal with this. My primary action would be to turn off the radio and TV so I wouldn’t hear about all of the love stuff. I may even plan on doing something cool that day and just forget about anything to do with that day. It’s just another day. Of course this is a guy talking and we don’t put the same emphasis on days like this as most women do. Thank you, Rick, for representing the guys out there and bringing some perspective. Single women can take a page out of your book and view this day as any other day. Turn off anything that makes us feel sad (like you would with anything else that brings you down) and do something cool and new. 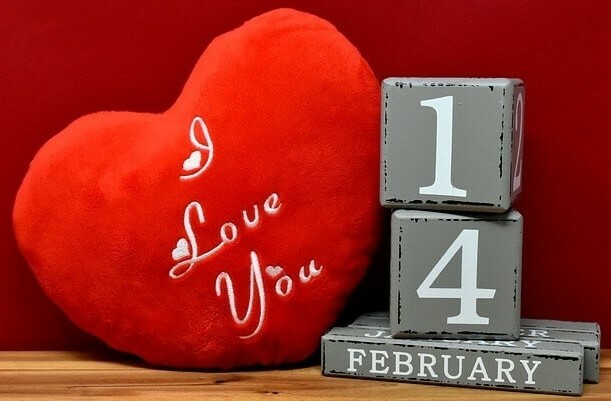 At the very least, it is a reminder for guys to treat their significant other with romance, not just on the 14th of February, but on any day. There is not “set” occasion to do something special with anyone: your partner, friends or family. Just go out there and make every day count.